In today’s buyers’ housing market, many of our customers are looking for an edge in marketing their existing home. One such marketing tool is a home energy audit. We spoke with Nancy Chandler, Supervisor of Conservation and Education Services at Maine Public Service, an organization that provides energy audits for homeowners in our state. “Many homeowners and buyers are extremely energy conscious these days,” Chandler said. “A home energy audit provides an unbiased document for prospective buyers that makes your home more appealing.” Once a homeowner has contacted her agency, Chandler works with the local electricity utility to review energy consumption from usage records for the past year. Depending on the utility’s monitoring, she can identify time periods where usage is high and other times when it is low. Armed with the past usage data, an auditor will schedule a walk-through energy assessment appointment. The auditor will review the home’s electrical appliances, heat sources, to identify where energy might be wasted. The auditor will also ask about intermittent and regular electrical uses such as space heaters only used at certain times or computers that might be left running even when not in use. The auditor completes a comprehensive worksheet and provides the homeowner with a list of recommended changes and improvements to reduce the kilowatt consumption in the home. “A lot of the energy consumed in the home is reflected by the habits of the occupants rather than the appliance,” Chandler says. For example she noted that high energy consumers include space heaters, computer monitors and flat-screen televisions. For a more extensive review called a heat analysis, Chandler said that the auditor checks for insulation levels, condensation or drafts in and around windows, and uses an infrared testing camera to determine where heat is escaping in the home during winter months (see left). 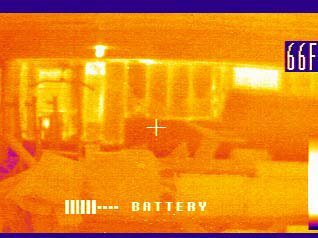 These infrared tests cost $75 when conducted by the Maine Public Service. The energy walkthrough audit is free of charge through the MPS. Other third-party energy audits that investigate the effectiveness of insulation and how well the home interior is sealed against outdoor infiltration are also available for a fee. The Department of Energy’s Energy Star website offers a resource to locate an energy auditor in your state. These auditors may employ a blower door test, which measures the amount of air leakage by lowering the air pressure inside the home, then finding leakage with the infrared testing equipment. 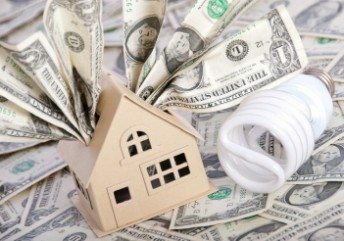 If the audit finds areas that can provide maximum energy savings for minimal costs you might consider making those changes and providing documentation to prospective home buyers. Your attention to detail may make the difference in successfully marketing your home!